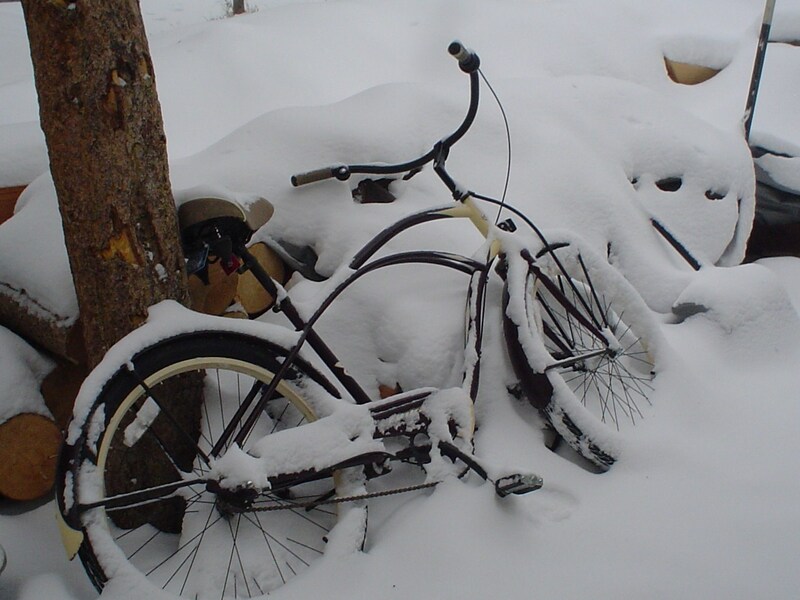 I was about to make the official announcement that road bike season has started here in Summit County Colorado. Everything was falling into place with temperatures in the forties after work, dry roads, daylight until seven thirty, the county was hard at work plowing the bike paths. The thought of epic rides up mountain passess in March danced in my head. The last time I was on the road bike up here was Thanksgiving weekend, just before winter really kicked in. I’ve been known ro ride all year around up here while most people slobber at the thought of heavy snowfalls and big days skiing. Unfortuantly as I’ve gotten older, I rather wait till the weekend to ride. Driving down to the front range to enjoy warmer temps and drier roads. The thought of dodging ice patches, sliding out in piles of sand, fearing for my life because of oblivious tourists, and angry locals I now wait until everything is perfect then start riding up here. Well that all happened sometime around the 14th of March. I couldn’t get enough, the thought of mountain biking in a few months made the smile even bigger. Well……. time to get the ski’s back out and forget about all that. The temperature dropped forty something degrees in a few hours Sunday night and it hasn’t stopped snowing since. 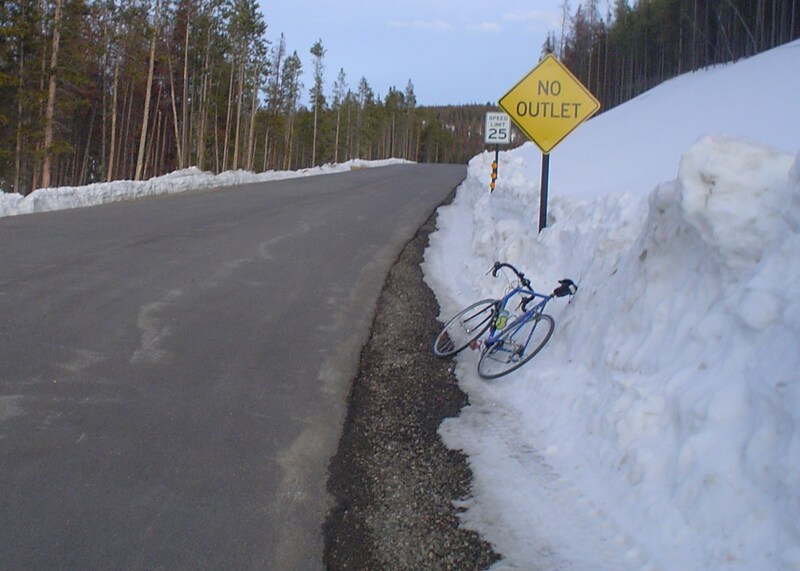 Maybe next week I’ll make a revised statement that Summit County is open for road biking. This entry was posted on Sunday, March 29th, 2009 at 11:14 PM and is filed under Peak Cycles Bicycle Shop. You can follow any responses to this entry through the RSS 2.0 feed. You can leave a response, or trackback from your own site.